Penicillin allergies are widely reported but often inaccurate. Two UCHealth clinics are protecting patient safety with allergy testing before surgery. A necessary step for providers in preparing for upcoming surgeries is checking their prospective patients’ list of medication allergies. Antibiotics, a key component of any surgical procedure, come under close scrutiny, as a patient’s allergic reaction to them on the operating table can be a potentially life-threatening event or lead to post-surgical problems. At UCHealth University of Colorado Hospital on the Anschutz Medical Campus, the concern with antibiotic allergies has taken a new twist. Providers have increased their attention on identifying patients who believe they are allergic to a well-known antibiotic, but actually are not. It’s an approach that could have surprisingly powerful and positive results for both patients and the hospital. The target is penicillin, a group of mold-derived antibiotics that have been used to fight infections since World War II. More than 75 years later, penicillin is still an antibiotic staple, but there is an important catch: One recent study showed that patients with a penicillin allergy are more likely to develop a surgical-site infection than are those with no known allergy. An allergic reaction during surgery can lead to anaphylactic shock. But that catch has another catch. Another recent study concludes that while penicillin is the most commonly reported allergy in the United States – about 10 percent of patients – some 90 percent who report a penicillin allergy turn out to be able to tolerate penicillin-based antibiotic treatment. Dr. Angela Selzer led effort to test patients before surgery to confirm or rule out allergies to penicillin. Photo by UCHealth. 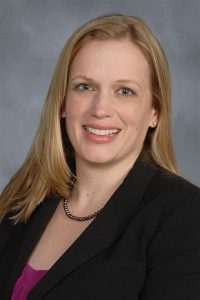 The implications of avoiding administering penicillin or a close cousin like cephalosporins to surgical patients can be enormous, said Dr. Angela Selzer, medical director of the Pre-Procedure Services Clinic at UCH and an assistant professor of Anesthesiology at the University of Colorado School of Medicine. Selzer, who has a special interest in allergy and anesthesia, noted that surgical patients who report a penicillin allergy may receive clindamycin as an alternative. Clindamycin has for many years been linked to increased risk of C. difficile bacterial infection, which the Centers for Disease Control and Prevention ties to some 15,000 deaths in the United States annually. Studies also show clindamycin substantially increases the risk of surgical-site infections. “It’s a big issue in the surgical population and in hospitals, which are working to decrease the number of these infections,” Selzer said. She and her colleagues hit on a solution. When patients come to the Pre-Procedure Services Clinic for tests and education in preparation for surgery, the team identifies those who say they have a penicillin allergy or have one listed in their medical record. Rather than accepting that at face value, the clinic now funnels as many as possible to the UCHealth Allergy and Immunology Clinic for about three hours of testing to confirm or rule out the penicillin allergy. 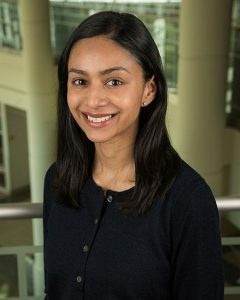 The protocol begins with a skin test using two different derivatives of penicillin, as well as amoxicillin, said Dr. Anjeli Kalra, who practices in the Allergy and Immunology Clinic and is an instructor of Allergy and Clinical Immunology at the CU School of Medicine. If the patient’s skin test is negative, the clinic performs under-the-skin testing to the same agents. If the second test is negative, a “drug challenge” follows, with a one-tenth oral dose of amoxicillin administered and monitored for 30 minutes, then – if there is no reaction – a full dose, monitored for an hour. If the negative trend holds up, the clinic removes the penicillin allergy from the patient’s medical record, making the antibiotics a treatment option. Given the rarity of a negative reaction, why do so many people report penicillin allergies? Part of the answer lies in the time-consuming process of ruling it out, Kalra said. Patients are often labeled “penicillin allergic” when they develop a rash days after starting the medication, Kalra explained. In that case, “a provider will say, ‘Oh, you’re probably allergic to penicillin,’ and put it on the patient’s allergy list,” not considering that a reaction in that situation is likely caused by an underlying infection or stress, she said. Even a true allergic reaction to penicillin in the past doesn’t determine a patient’s future, Kalra added, because the immune system changes over time. The risk of administering penicillin to a patient who is allergic to it is real, Kalra acknowledged, but greatly outweighed by the dangers of giving an antibiotic that is more powerful than needed, like clindamycin. In addition to increasing the risk of serious infection, such “broad spectrum” antibiotics, if not properly targeted, can unleash wide-ranging attacks on the gut’s flora, lengthening hospital stays, contributing to the growing threat of antibiotic resistance and sometimes leading to death. Testing in the Allergy and Immunology Clinic at UCH often rules out penicillin allergies, says Dr. Anjeli Kalra. Photo by UCHealth. The Pre-Procedure Services and Allergy and Asthma clinics can’t yet test all patients with a penicillin allergy listed, Selzer said. But she noted that all patients who have been referred for testing thus far have had negative results and had their penicillin allergies removed from the medical records. The process requires far more than handing patients a flyer and referring them for testing, said Katie Conyers, a nurse practitioner and clinical director of the Pre-Procedure Services Clinic. The experience of Marjorie (not her real name) underscores the point. She visited the Pre-Procedure Services Clinic last fall prior to hip-replacement surgery at UCH. She mentioned that many years before she’d had what she called a “reaction” to penicillin – a rash, as she recalled. “I assumed that because I had had a reaction, that I was allergic to penicillin,” Marjorie said. She agreed to testing at the Allergy and Immunology Clinic, which proved negative, allowing her to have a cephalosporin antibiotic administered during her hip-replacement surgery. During a conversation in February, she said she recovered well from the surgery, with no post-surgical problems. As for the testing, which required a time commitment, Marjorie credited the clinic for recommending it. The testing, which the clinics hope to expand in the coming months, is important not only to protecting patient safety but also involving them in their own care, Selzer concluded.